He was Father Cornello's right-hand man and a devout follower of his religion. 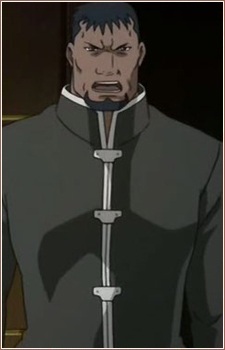 Shortly after Ed and Al's arrival in Lior, Cornello explained to Cray that Ed was in fact a State Alchemist, and was most likely in Lior for reconnaissance purposes. Consequently, Cornello ordered Cray to eliminate the Elrics in the name of their god, but he failed when a shot meant to take off Alphonse's head only revealed his empty armor. During the siege of Lior, Cray was devoured by Gluttony when he looked for Cornello and found the Homunculi instead. Cray's skeleton can be seen in Gluttony's stomach near the end of chapter 50.